In the last few years, officials with the Consumer Product Safety Commission (CPSC) have enforced more stringent guidelines for toys, requiring testing by third party, independent laboratories around the globe. They’ve been using this system to test toys for various defects, dangers and to enforce stringent lead and phthalates limits for toys. Over the last 5 years, officials with the U.S. Customs and Border Protection (CBP) and with the CPSC have stopped close to 9.8 million units and about 3,000 different toys that violated various federal safety standards. While these toys were kept from store shelves and kept out of your home, there will still many more that slipped through the cracks and into the hands of consumers. Our child injury attorneys in Boston note the CPSC still issued more than 30 toy recalls last year. Thankfully, none of these recalls included lead issues, but there were many other dangers wrapped in products marketed to children. More than 10 children were killed in toy-related accidents in 2011. Most of these fatalities were the result of using riding toys, like non-motorized scooters and tricycles. There were four who were found in swimming pools with their tricycles and another who received a fatal head injury after his tricycle toppled. Asphyxiation and aspiration were the next most common cause of toy-related deaths. A recent report from officials with the CPSC estimates that there were more than 190,000 toy-related emergency room visits among children under the age of 15 in 2012. -Balloons: Children can easily suffocate or choke on balloons that are deflated or broken. Before and after use, you want to keep deflated balloons away from the younger members of your family. Make sure that you toss out any broken balloons right away. -Toys with small parts: If you have children in your home who are under 3-years-old, you should not have any toys will small parts as they can serve as serious choking hazards. -Scooters and other riding toys. These toys, like in-line skates, skateboards, bicycles and other riding toys can go very fast and falls from them can be deadly. Make sure children are always equipped with the proper safety gear and that it fits correctly. -Magnets: Children’s toys that come with magnets are covered by some serious safety standards and they are required to be encapsulated. Be cautious with the toys. 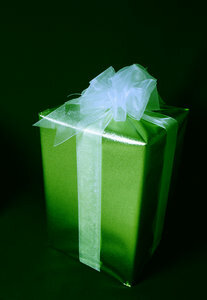 -After unwrapping gifts, make sure that you get rid of the wrapping as it can become dangerous to children. -Make sure children are always gifted with toys that are appropriate for their age. -Keep a special eye on small game pieces that may be a choking hazard for young children. While these kinds of games are great for older kids, they can pose a potential danger for younger, curious siblings. -Choose toys that are well-made. Used toys passed down from older relatives or siblings or bought at yard sales can be worn or frayed, which can sometimes be dangerous. -Inspect all toys for sharp points or edges made from such materials as metal or glass–these toys should not be given to children under eight years of age. This includes stuffed animals with wires that could stab, cut or shock if exposed.